A revelatory collection of letters written by the author of The Broken Road. 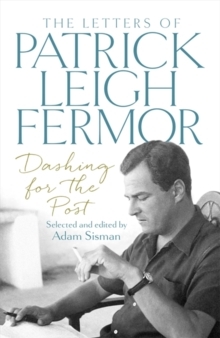 Handsome, spirited and erudite, Patrick Leigh Fermor was a war hero and one of the greatest travel writers of his generation. He was also a spectacularly gifted friend. The letters in this collection span almost seventy years, the first written ten days before Paddy’s twenty-fifth birthday, the last when he was ninety-four. His correspondents include Deborah Devonshire, Ann Fleming, Nancy Mitford, Lawrence Durrell, Diana Cooper and his lifelong companion, Joan Rayner; he wrote his first letter to her in his cell at the monastery Saint Wandrille, the setting for his reflections on monastic life in A Time to Keep Silence. His letters exhibit many of his most engaging characteristics: his zest for life, his unending curiosity, his lyrical descriptive powers, his love of language, his exuberance and his tendency to get into scrapes – particularly when drinking and, quite separately, driving. Here are plenty of extraordinary stories: the hunt for Byron’s slippers in one of the remotest regions of Greece; an ignominious dismissal from Somerset Maugham’s Villa Mauresque; hiding behind a bush to dub Dirk Bogarde into Greek during the shooting of Ill Met by Moonlight, the film based on the story of General Kreipe’s abduction; his extensive travels. Some letters contain glimpses of the great and the good, while others are included purely for the joy of the jokes.